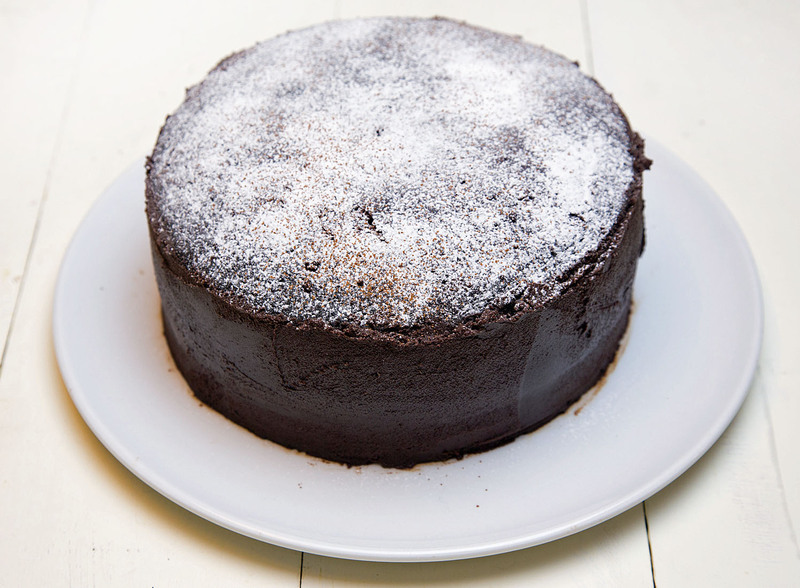 One of my great childhood memories will always be chocolate cake for breakfast…sigh. It was a wonderful thing! But that was in the days of Duncan Hines and Betty Crocker, when mixes somehow began taking the place of homemade cakes. Now I’m not knocking the mixes, everything has its time and place, and they did come up with some pretty darn good cakes. But even as good as they were, they’re not homemade. 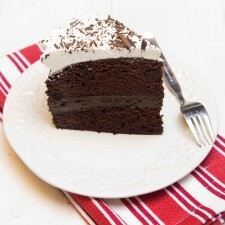 I came across an old recipe for a Vegan Chocolate Cake, although at the time they had no idea it was Vegan, or even what a Vegan was, but they knew what delicious was! It was a simple recipe using oil, and vinegar instead of eggs and butter….who knew? Well evidently those bakers from the depression knew, and when they couldn’t get eggs or butter, they still came up with the best chocolate cake I’ve ever had. With my quest to eat healthier, I’ve been changing my dietary intake whenever possible, using Greek yogurt instead of heavy cream and sour cream, and using Coconut Oil instead of other oils. And honestly since I’ve been using Kelapo Coconut Oil, I’ve discovered just how well it works replacing any oil or butter for that matter! 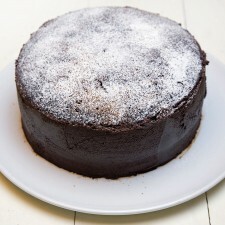 So what could I do but make my favorite chocolate cake of all time, using Kelapo Coconut Oil. I decided to throw a fudge layer in between the layers, and used Kelapo, instead of butter…. it was fudgelicious! Of course not being Vegan I finished it with mounds of fresh whipped cream…….. it was a beautiful thing! 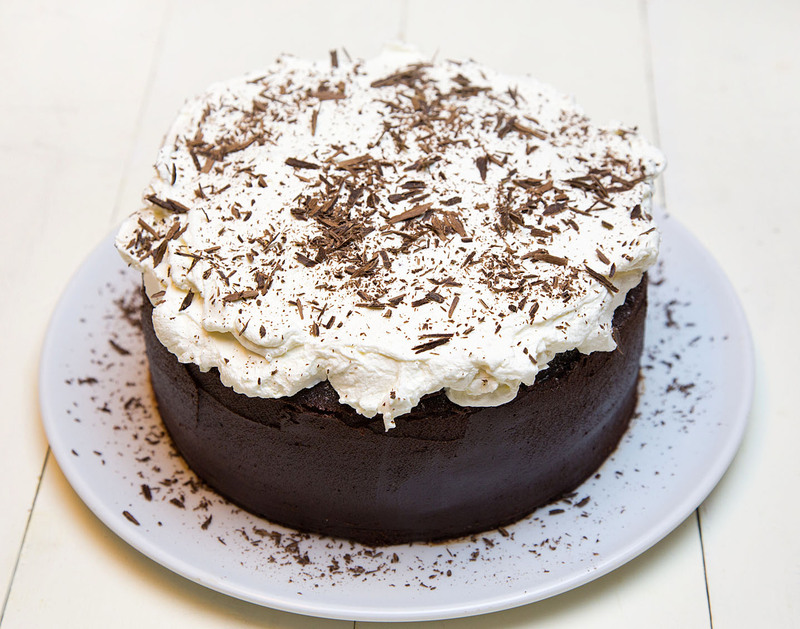 Of course I made it Vegan first before I slathered on the whipped cream, but either way you make it I know you’re going to love it! With your mixer on low speed beat in the coconut oil, vinegar, vanilla, and water until smooth. Pour the mixture into the two 9″ prepared pans, coated with pan spray. Bake for 30 minutes or until a cake skewer inserted in the center of the cake comes out clean. Do not over bake the cake. It should be firm to the touch, and a cake skewer inserted in the middle of the cake should come out clean. Put the cake pans on cooling racks and cool for 15 to 20 minutes before removing the cakes from the pans to cool completely. Place one layer on cake plate and add layer of chocolate fudge. place second layer on cake and fill in any spots in the chocolate fudge layer. Top cake with whipped cream, cut and serve! 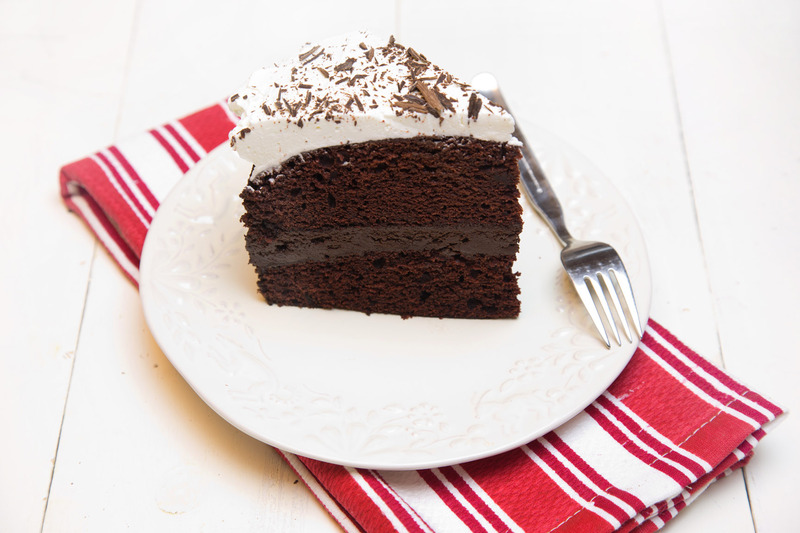 With the holiday season upon us this is the perfect time to enjoy this delicious chocolate fudge cake, and I know your friends and family are going to love it! 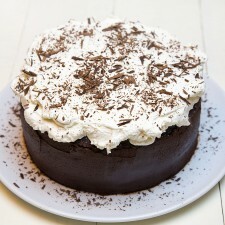 For more great recipe ideas using coconut oil, stop by Kelapo.com, you’ll be glad you did!